Last week, in the midst of the work kaos I´m currently drowning in, I decided to play it cool and spend the whole afternoon experimenting in the kitchen. One of the best ways to release stress for me is cook exactly what I´m craving (I did say "one"). And, as it happens quite often, relaxation equals something sweet, and something having to do with chai tea. 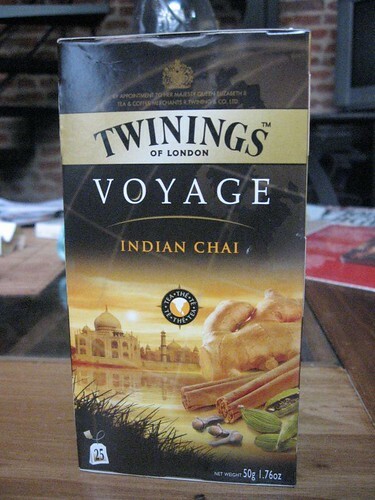 I fell in love with chai in my second visit to the US, at Borders to be more precise. I bought a travel coffee mug and they gave me a free drink with the purchase. I had seen frozen chai latte there before, it was summer and I was stuffed after eating at the Olive Garden (I know, I know, it´s probably not the best restaurant on earth or anything, but I was in Tulsa, so my selection wasn´t endless, and I was pretty homesick after a month there, so Italian food = home). Anyway, they didn´t have the frozen chai, but they did have chai, so I went for it. 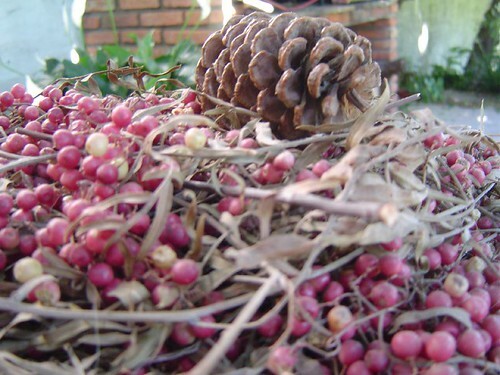 I´ve never looked back, I was hooked instantly: the perfect balance of sweet and spicy, and all the fragrances. I started drinking it like there was no tomorrow, yet there was a tomorrow, and the tomorrow was here in Argentina... which is truly great in many ways... but it was chai-less... and the mere thought of a chai-less existence was hard to bear. Over-dramatic? That description? Come on! ... but the flavors aren´t as strong as that first Borders chai who first enamoured me or the homemade chai I sometimes indulge in. 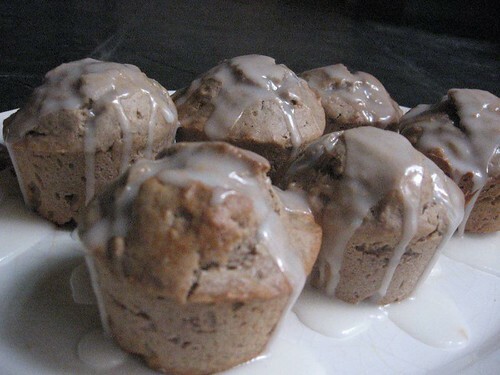 But last week, I wasn´t going to settle for chai as is, no, no, I needed chai in a different package... and that package ended up being cute little muffins with a lemon glace. 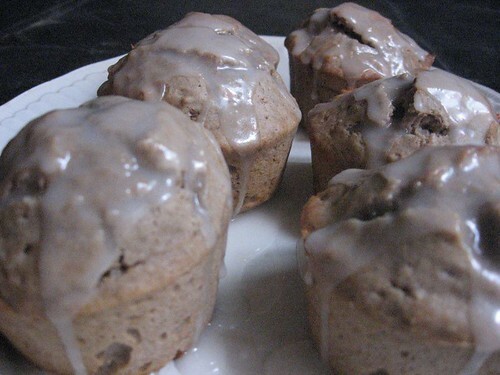 I altered a simple muffin recipe so that I could end up simmering cream with all the chai spices and voilá, chai muffins. 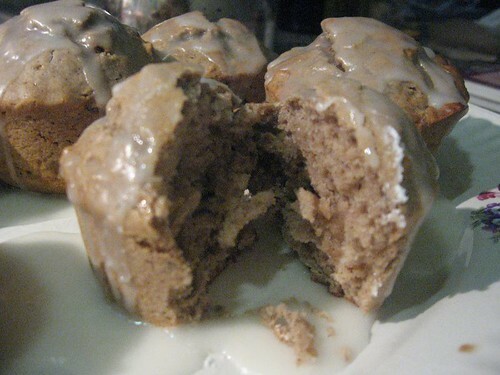 The result was fantastic, but I don´t think it makes sense to share my somewhat complicated "recipe", because you guys have chai syrups readily available, so you can just take a simple vainilla muffin recipe, add a bit of syrup, and you have amazing chai muffins. Those of us living at the world´s rear end have to make do without Amazon and without chai syrup... but we´ll persevere, despite this uphill struggle hahahhaa I think all this work is catching up with my brain and my sense of drama. And a few other photos before I go to bed to get my well-deserved rest. This is another one of the "creations" that came out of my tired little brain that day. Just what people in low-carb diets need!!! I know, I´ve been a bad, bad blogger. I´ve been teasing you about the famous world peace cookies forever. Thing is, when I made the first batch, they were a little thin, so I was waiting for my eventual surrender to the freezed log to try them again and see if they would end up any thicker. And I´m pleased to say they did. Now look at that sturdy little pile of chocolate... 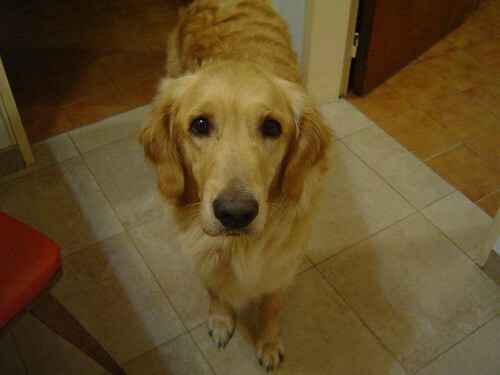 I think I´m in love. Confession time: for the first batch, I just refrigerated the dough for around 1 1/2 hours, which was probably why they ended up thin because they spreaded way too much. 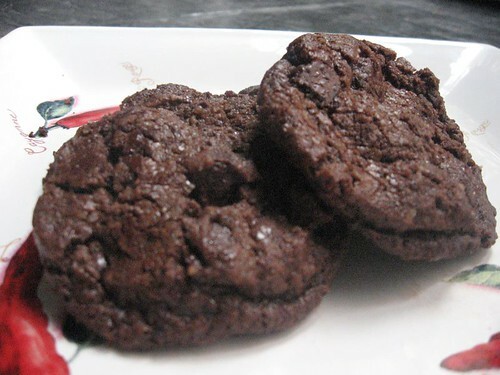 One thing that could be improved in my rendition of the cookies was the sugar... they ended up a bit too sweet at times, though the "problem" was easily fixed by eating them with a tall glass of milk, yum! But I think it was I didn´t use fleur de sel, and the bit I used of sea salt wasn´t as noticeable as I´ve read it was in other blogs. Either way, they are very, very, and I mean VERY good, so you should definitely try them if you haven´t already. 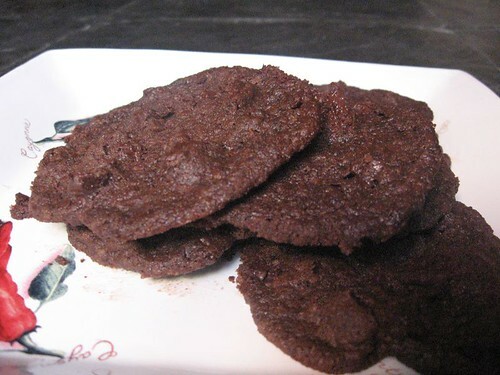 Since my pictures didn´t turn out as great as they could, I recommend you check out these other entries about these cookies with lovely pictures and great posts. 1. Sift the flour, cocoa and baking soda together. 2. Working with a stand mixer, preferably fitted with a paddle attachment, or with a hand mixer in a large bowl, beat the butter on medium speed until soft and creamy. Add both sugars, the salt and vanilla extract and beat for 2 minutes more. 3. Turn off the mixer. 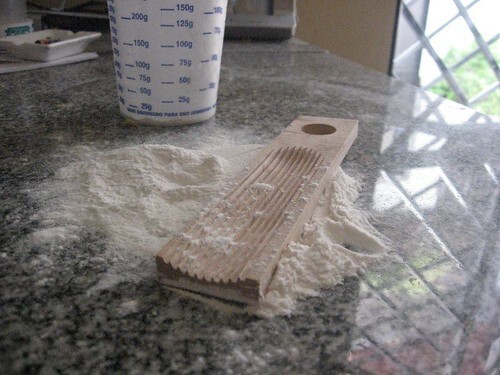 Pour in the flour, drape a kitchen towel over the stand mixer to protect yourself and your kitchen from flying flour and pulse the mixer at low speed about 5 times, a second or two each time. Take a peek — if there is still a lot of flour on the surface of the dough, pulse a couple of times more; if not, remove the towel. Continuing at low speed, mix for about 30 seconds more, just until the flour disappears into the dough — for the best texture, work the dough as little as possible once the flour is added, and don’t be concerned if the dough looks a little crumbly. 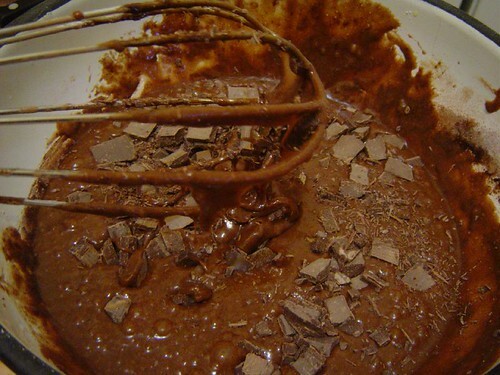 Toss in the chocolate pieces and mix only to incorporate. 5. GETTING READY TO BAKE: Center a rack in the oven and preheat the oven to 325 degrees F. Line two baking sheets with parchment or silicone mats. 6. Working with a sharp thin knife, slice the logs into rounds that are 1/2 inch thick. (The rounds are likely to crack as you’re cutting them — don’t be concerned, just squeeze the bits back onto each cookie.) Arrange the rounds on the baking sheets, leaving about 1 inch between them. Bake the cookies one sheet at a time for 12 minutes — they won’t look done, nor will they be firm, but that’s just the way they should be. 7. Transfer the baking sheet to a cooling rack and let the cookies rest until they are only just warm, at which point you can serve them or let them reach room temperature. 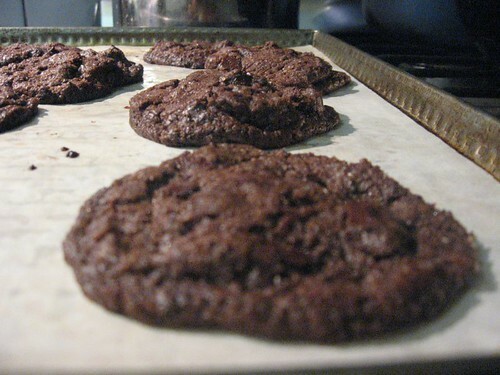 SERVING: The cookies can be eaten when they are warm or at room temperature. Those of us who write about food often forget about ourselves in the process, that´s why Christiane/Fiber from 28 cooks created Behind the apron. Basically, she encourages food bloggers to share some pictures of themselves so that readers can see who is behind all that yummy food. It is quite a scary thought to post a big picture of myself for all to see, but then I realize how much closer I feel to the bloggers I have seen in pictures, I see that it is worth it, because, cliche as it might be, it is nice to put a face to a... blog. 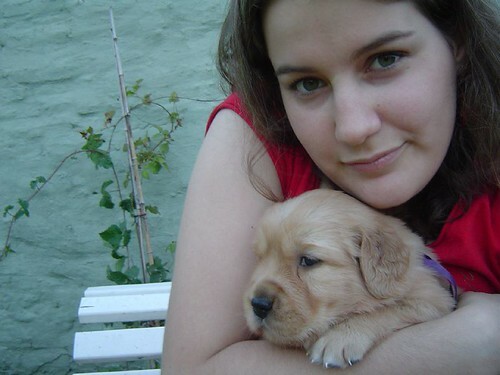 In my case, I do have a tiny pic on my profile, but it doesn´t really say much. 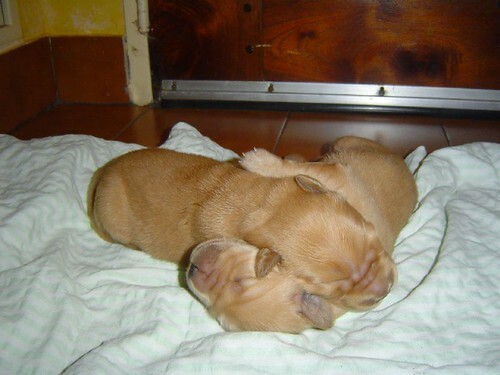 So I tried to gather some courage, and found it in my tiny golden puppies... an evil plan was born: I would post a picture with the puppies, that way, everyone would be too distracted to focus on me muahaha I know, I´m soooooo clever, I´m definitely proud of myself. Let´s hope this becomes a regular event so that more and more food bloggers "come out of the closet". One of the biggest traditions in my family is Sunday lunch at my grandma´s. My nonna, true to her Italian origin, always makes us some sort of pasta (with the exceptional rabbit dish, but no other deviations from the rule). She makes a killer lasagna, exceptional taggliatele, lovely canelloni... but the dish she is best known for is her potato gnocchi. All of my closest friends have come to a Sunday lunch at some point to try a plate of Vanda´s famous gnocchi, and none has ever left disappointed... or hungry. Because my grandma is very Italian in that respect as well, her biggest concern is always that someone will end up hungry, she just wouldn´t be able to tolerate that. I mean, it is a very Italian frame of mind, but at least in her case, it also has to do with the hardships she suffered back in Italy, WWII and all. 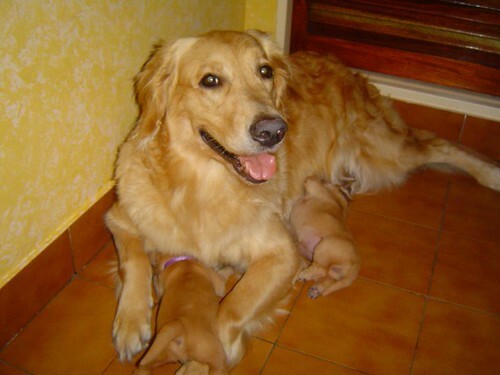 She shouldn´t have anything to worry about because everyone ends up both well-fed and totally satisfied after a great meal every single time. But her gnocchi fame can be overwhelming for the rest of us mortals. 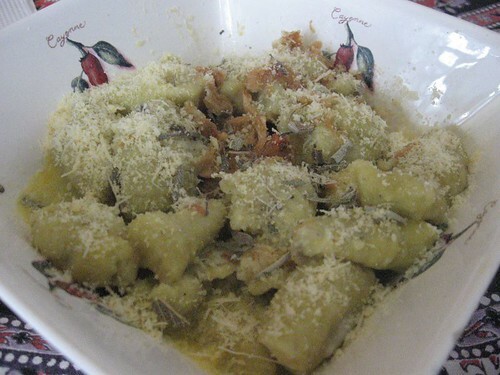 My mom never makes gnocchi, how could she bear to be measured up to my grandma´s legendary gnocchi-making abilities? And I certainly don´t blame her. Even though my grandma has always shared the secrets of gnocchi-making with us, it´s just hard to just go for it with such a legacy. 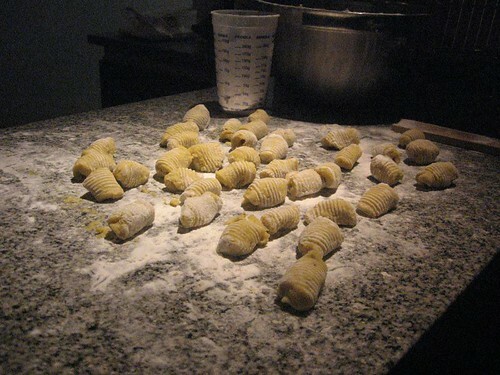 That´s why I hadn´t tried my hand at gnocchi before. But lately I´ve been thinking it was time. 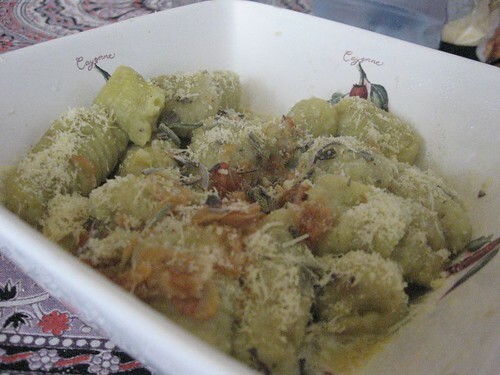 Besides, I got a brilliant idea: I would invite some friends over, friends who hadn´t tasted my grandma´s gnocchi, that way, they would love them whatever the results (I know, my intelligence is out of this world, ha!). 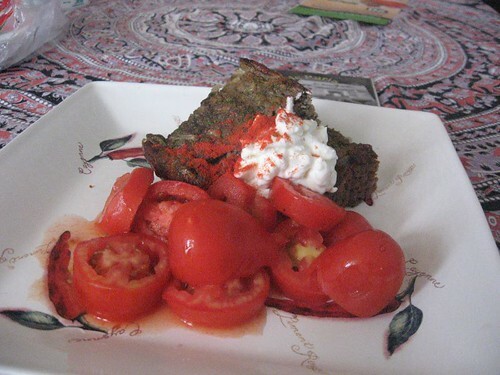 What also spurred me was another recipe by my beloved Narda Lepes. You see, hers were no regular potato gnocchi, but yam gnocchi with sage, which promised a whole new spectrum of taste experiences. I cannot begin to tell you how easy it was to make them and how lovely they turned out. The flavor of the yams is complemented exquisitely by the sage and the butter (and the parmessan of course). What I did add to the recipe was some echallotes (I had some dried ones I bought at ChinaTown) and some parmessan in the dough itself. I might have overdone the not-too-much flour principle because they were a bit too soft to handle comfortably, but I cooked the second batch a little less and it was perfect (I didn´t use the full amount specified in the recipe, so I think using the full amount would be perfect). *Steam the potatoes/yams instead of boiling them, that way, they don´t have as much humidity and absorb less water. *Incorporate the rest of the ingredients when the yams are still quite hot (that´s something my grandma does and it seems to work really well). *Do not skip the rolling into gnocci-like shape step because it is precisely that shape which allows you to cook the gnocchi properly (otherwise, it´s very hard to cook the center). sauteed onions (1). 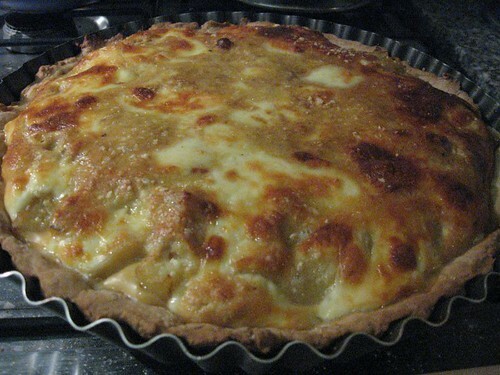 I used a bit dried echalottes, dried onions could work as well. fresh sage leaves (20 leaves), if you use dried sage leaves, you might need quite a bit more. 1. Peel and chop the yams into medium-size squares. 2. Steam them until they are tender and mash them right away, making sure they are no lumps. 3. Add the butter to the hot puree, then salt and pepper. Incorporate the yolk whisking fast so you don´t end up with scrambled eggs. Add the grated parmessan and the onion, dried echallotes or any other flavor you like at this point. 4. Mix well to incorporate all the ingredients. Then incorporate the flour slowly until you get a tender dough. Let the dough rest for a while. Do not overdo the kneading because you don´t want the gluten to develop. 5. Separate the dough in smaller balls and roll them into cylinders. Cut the gnocci in the desired size. 6. Shape the gnocchi by rolling them through a gnocchi-roller (or whatever you guys call it in English). You can also use a fork, but they don´t turn out as well. 7. Boil them in salted water until they rise to the surface. 1. Melt the butter in a skillet, add the chopped garlic clove and the sage. Let everything cook for a while, but make sure the butter doesn´t burn. Tip: to prevent the butter from burning as easily, you can replace half the butter with olive oil, which will rise the burning temperature of the butter. 2. Add the gnocchi to the butter and mix everything for a little while (don´t let it there for over a minute or the gnocchi will start to break). 3. Serve it quickly with the grated parmessan sprinkled on top. This is my entry for Weekend herb blogging, hosted this week by Scott at The real epicurean. Si alguien necesita la receta en español, escríbame a mi dirección de correo electrónico y yo se la mando. Kate tagged me for this meme of 6 weird food things about myself. It was quite hard to come up with 6 things, maybe because I don´t see any of my weirdness because they seem perfectly normal to me. I mean, I´ve got weirdness to boot in general, but I don´t know if food is included. Still, I did manage to come up with some things. Hope you enjoy it. 1. I like to eat raw doughs or cake mixes, be it a brownie mix, a raw gnocci (my grandma can attest to that fact), chocolate-chip dough or whatever. Of course, this is purely for scientific reasons, I need to make sure it tastes good before cooking it (you do believe me, don´t you?). In fact, one of the things I miss the most of being in the US is not having cookie-dough ice cream to buy (I think the one I had was Breyers ice-cream, but I keep hearing about Ben & Jerry´s ice cream now, so I´m gonna try that new time I´m in the US, ohh the sacrifices one has to make in the pursuit of culinary enlightment! 3. I´ve never been to Paris and have never been particularly enamoured of all things French. Maybe it has to do with the fact that my grandparents are Italian, my great grandma was Spanish and another great grandma I never got to meet was Dutch, so I´ve always been more on the Italian-Spanish side. All I kept hearing growing up was that French food was pretentious and came in tiny plates. I do know better know, though I still love Italian-Argentine food above everything else... it´s inevitable, it´s like my palate and my nose are particularly attached to my childhood. 4. Something I´m very ashamed of: I lost weight when I visited Italy!!! What the #*!, I know, but my relatives kept insisting I should be eating more and gave me their relentless "mangia, mangia" (eat, eat), that I just didn´t feel like eating so much. Plus, I walked like crazy touring the different cities and the food was pretty healthy, so I´m sure that helped. Still, I feel like I let my inheritance down... well, maybe next time I´ll eat like a true champion. 5. All this talk of inheritance and family made me realize one thing. Even though I have some Dutch descent, I´ve never had a Dutch meal before. If any of you have recommendations of Dutch dishes to try, bring them on! 6. I don´t generally like sweet-sour combinations, which closes my food spectrum quite a bit. I´m trying to slowly train my palate, but I don´t think I´m making any progress. Now, on to the tagging part of the deal. Of course, there´s no obligation to play along, but I think this is a fun topic. I just chose 6 bloggers to keep the 6 theme going, but feel free to join in and then post the link to your entry in the comments sections. Well, not technically in the country, more like in the suburbs of Buenos Aires. But sometimes it does feel like being in the country, I mean, my parents are growing their own tomatoes now, my dad has been making wine for the last couple of years, they have their own herb section in the garden (that´s not as impressive though, because even I have a pot of herbs in my own tiny home). 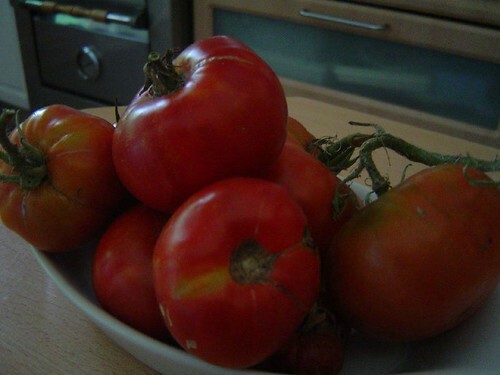 But the tomatoes have truly enamored me. 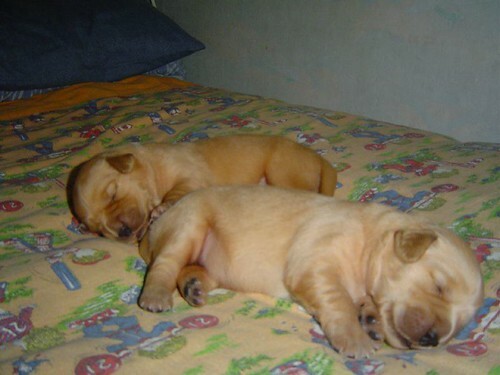 They are so tiny and flawed. 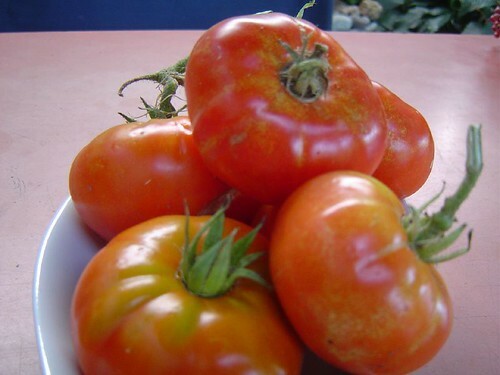 YES, flawed is good when it comes to vegetables, it means they are home-grown, pesticide-free and full of flavor, not blown up like most things we find at grocery stores. Another impressive aspect of spending the weekend at my parents is the food. Basically I get to stuff my face with remarkable meals without having to cook. 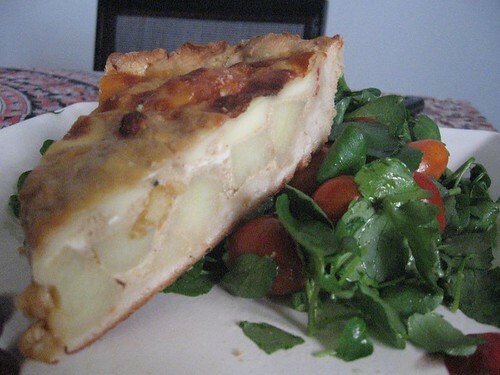 I sometimes cook, but I can eat as well, if not better, as if I was making the cooking without having to lift a finger. My dad has always loved to cook, which was pretty unusual back in the day, and still is in Argentina, that retains much of its sexist "glory". I mean, most men take care of the "asados" (something similar to a barbecue), but that happens once a month or so. All the other meals in that month are the sole responsability of women... and many women don´t like to cook, so people tend to eat less-than-extraodinary meals. But going back to my dad, he has always cooked a few times a week (for dinner, of course, because he comes home for lunch for an hour, so the meal has to be ready by the time he arrives so he can have a 40-minute siesta). The meals he chooses usually have to do with seafood-fish, pasta or red meat, and they are never ever on the bland side of the flavor spectrum... sometimes they are even too flavorful or spicy. 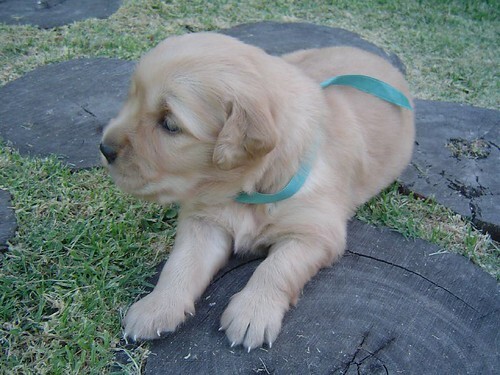 For instance, he has this love affair with sage which can get pretty overwhelming or pepper, he looooooves pepper, so much so that he collects them fresh whenever he sees a pepper tree. But he usually finds the right balance and makes terrific meals (though this is a secret between us, I don´t want him to get even less modest hahaha). 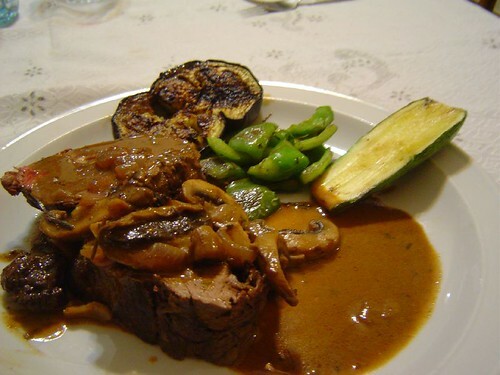 Last night, he went French on us and made sirloin stuffed with parmessan and prosciuto (ok, the stuffing is more Italian than French) with a mushrooms and cream sauce (this part is very French, ha!). (A clarification on the meat cut, our meat cuts are different than those of the US and Europe, but apparently our "lomo" is your "sirloin" or "fillet steak", basically, what you need is a very tender piece of meat without any bones). A combination like that cannot go wrong, and certainly didn´t this time around. The meat melted in your mouth and every bite of mushroom-cream infused goodness was fantastic. 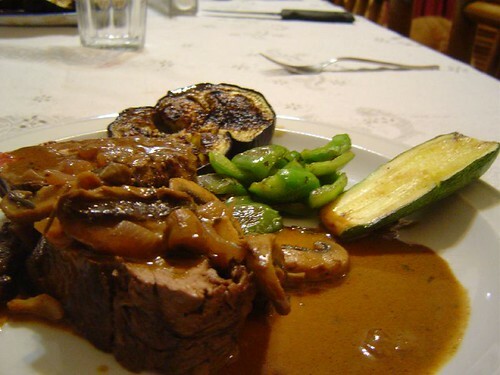 As a side, he made grilled vegetables-zuchinni, eggplants and green peppers- which lent a fresher touch to the meal and complemented the richness of the meal perfectly. I´ll ask him all the details later to give you the recipe. 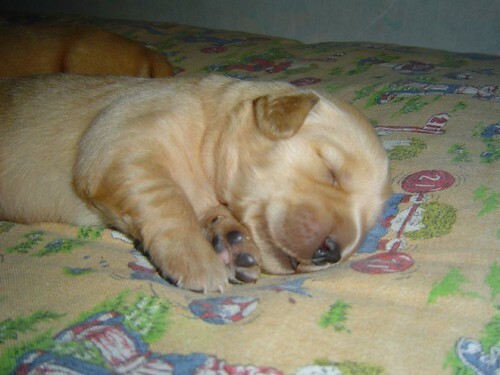 I know, I know, my life is hard. In case you haven´t heard, it´s de-lurking week, which gives me the perfect excuse to ask you to come out of the shadows and into the light. So it kind of kills me when I see that quite a few people are reading, but just a few comment. I don´t know if it´s my own lack of experience writing that doesn´t invite people to comment, or your laziness, fear of not having enough cooking skills or whatever (I don´t know, human beings are quite weird lol), lack of English skills (sé que me lee mucha gente en Argentina, así que pueden dejar comentarios en español perfectamente), or what. But whatever it is, I invite you to tell me something about yourself, your blog, your country, your love for food, give me suggestions for the blog, even recipe suggestions for me to try... I´m open to ideas. My cooking inspiration can unleash itself at any given moment, but it is especially prone to awaken at the most incovenient of times... say, when I have an urgent project to deliver and I have no time to spend half the afternoon cooking. But, since apparently I have my priorities right, yesterday afternoon I decided it wasn´t such a bad idea to make an eggplant pudin with curry-ginger oil for dinner and the now world-famous World Peace Cookies for tea... I mean, why not? Work? Deadlines? What is that? There was also a little problem called summer + oven, but that´s irrelevant at this point. So I cut the eggplants in half, cut the inside into squares without cutting the skin (for clarification, see this), sprinkled them with thick cooking salt and let them rest for a few hours. In the meantime, I set about preparing the World Peace cookies (but more on that on a future entry). Earlier, I had prepared a curry-ginger oil by my newest favorite cook: Ming Tsei. Does that guy rock or what? The whole format of the show is totally logic: you start with a master recipe that you then use for different dishes, which reinforces an idea that some people have a problem understanding, that is, cooking is about fun, creativity and flexibility, following recipes blindly won´t make you a great cook, creating a great dish with the elements you have will. Anyway, this oil is incredibly easy to make and you get a subtle, yet fragrant oil perfect for vegetables, meat or frying. I made less than the recipe called for because I don´t use oil that often to begin with, but you can basically twitch the recipe as you please. I used some of it replacing the normal vegetable oil the recipe called for. 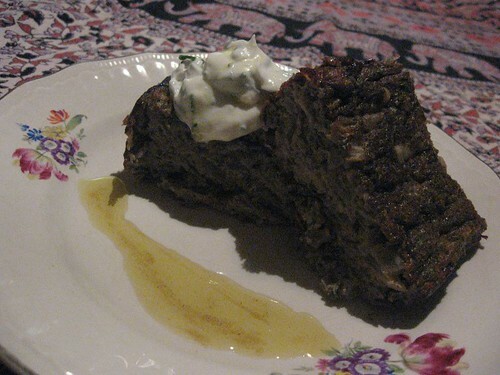 Now on to the eggplant pudin. It is a recipe by another of my favorite cooks: Narda Lepes. Narda is a young Argentine cook with a very personal approach to cooking, you can check out some of her recipes and an interview by clicking on her name above (in Spanish). 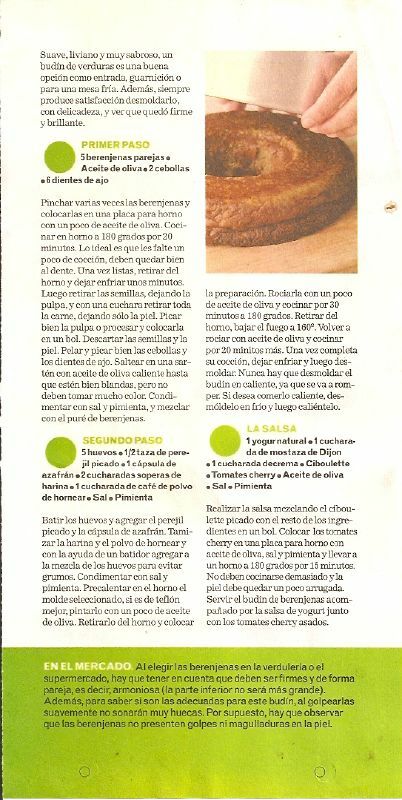 My photos didn´t come out as well as the ones in the magazine, of course, but I´m including the scans after the recipe in English so that those of you who speak Spanish have the original version. 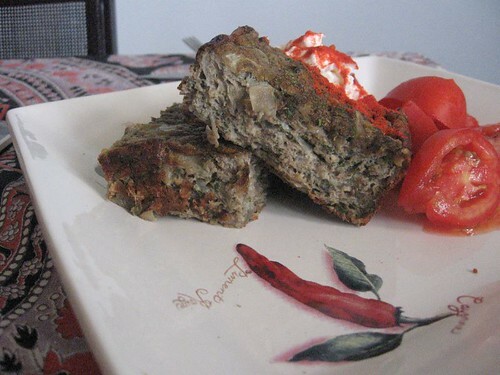 If you love eggplant and onions, this is certainly the recipe for you, plus, it´s good for your waist, and how often can we say that of something truly yummy? 1. In a large, heavy saucepan, combine the oil with the ginger and heat over medium heat until the oil is fragrant and the ginger just begins to color, about 8 minutes. Remove from the heat and cool completely, about 20 minutes. 2. Meanwhile, place a large, heavy sauté pan over medium heat. Add the curry powder to the dry skillet and toast, stirring, until the curry powder smokes slightly, 8 to 10 minutes. Whisk in the ginger and oil, remove from the stove, and cool completely, 30 to 40 minutes. 3. Transfer the oil and spices to a 1- to 1 1/2-quart glass jar, scraping the pan well. Allow the mixture to stand until the oil and curry powder have separated completely, about 4 hours or overnight. The oil is now ready to use. Store in the refrigerator. 1. Cut the eggplants in half, make some superficial square cuts, like this and sprinkle with cooking salt. Let rest for at least half an hour (this removes any bitterness the eggplant might have). 2. Rinse them and then wrap them in aluminum foil, place them in a pan and roast them for 20 minutes or so. They shouldn´t be too soft. 3. Let them cool for a few minutes and then scoop out the "meat". 4. Chop and sauté the onions and garlic cloves until tender but not golden. 5. Gently whisk the eggs a little bit and add the parsley and the saffron (if you are using any, otherwise, add any other flavor you are using). 6. 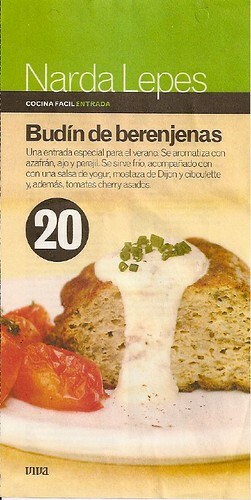 Sift the flour and baking powder and add it to the egg mix carefully so it won´t clot. 9. Place the mix in the hot pan and spray it with PAM. Cook for 30 minutes at 350F and then lower the oven to 300F and cook for an extra 20 minutes. 10. Let it cool before removing it from the pan. 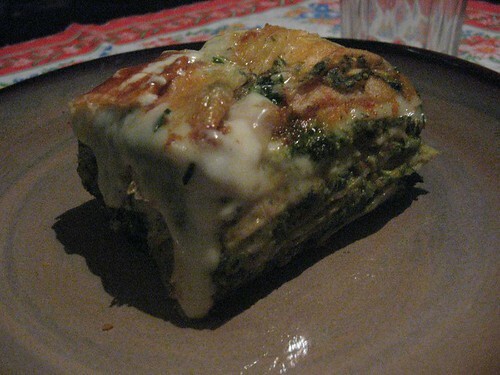 If there´s one recipe that has brought me great joy and never steered me wrong, this would be it. 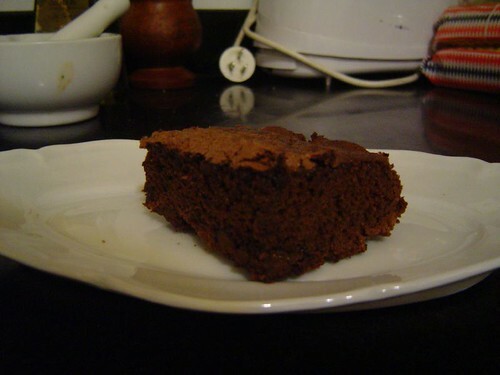 It is one of the first things I baked completely on my own, without having eaten brownies before (for some reason, brownies hadn´t become popular in Argentina yet, now they are in every café´s menu). I was watching one of my favorite cooking shows back then, it must have been at least ten years ago... and I immediately realized that this was something in between cakes and cookies... and I´ve always been partial to cookies in this classic antagonism of cookie vs. cake. So, going back to the story, the brownies looked so damn chocolatey and moist that I couldn´t resist the urge to make them: just as a judge, of course, I was planning to have a single brownie and stop at that... yeah, right. Needless to say, I became addicted to them, which is a very very bad thing since I always have the ingredients to make a fresh batch. 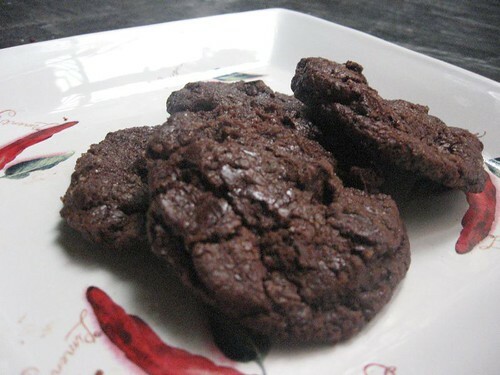 That is one of the great things about this particular recipe: you don´t need to add chocolate, just cocoa, so chances are, you will always have the ingredients at hand. There´s even a myth that says that one night a few years ago, we were talking after dinner and I suddently got the urge (and I mean true urge) to eat brownies. 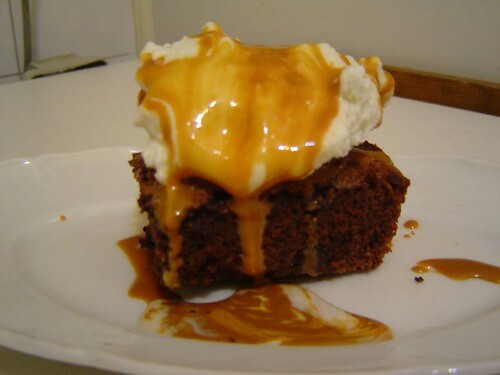 Not only brownies, the urge was more specific, it was brownies topped with dulce de leche and vanilla ice cream, talk about high-maintenance! Anyway, and again, according to this myth, I quickly prepared a batch, dispached my brother to buy ice cream and we were eating warm brownies with dulce de leche and ice cream 40 minutes later. Sin never tasted so good!!! Whenever I have that sort of urge (whether it is hormonally-induced or fat-soul-induced), I bake a batch of these, make some capuccino and burst with happiness for the rest of the day. 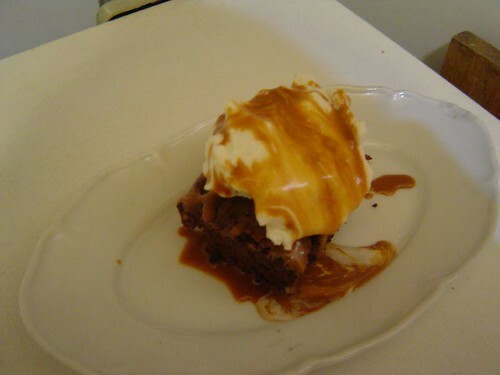 So it´s no surprise that I made them with dulce de leche sauce and ice cream for new years eve and they were a big hit. Of course, I documented the whole thing so that you could witness the whole process. 1. Melt the butter in the microwave at 60% for 1 minute or so. 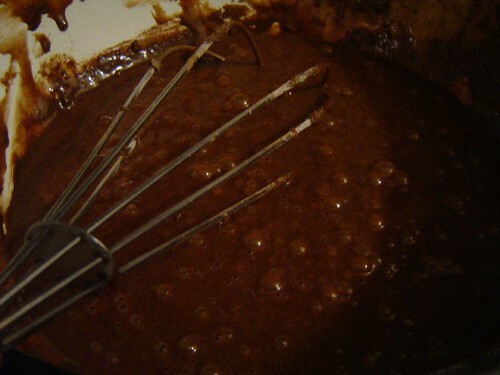 Mix with the sugar using a metal whisk and then add the eggs one by one. 3. Preheat the oven to 180C or 350F. 4. Pour in buttered and floured rectangular pan (I generally use a PAM-like spray called Fritolim). 5. Bake for 20-30 minutes (it depends on your oven, I usually bake them for just 20 minutes because I like them quite moist). Check after 15 minutes just in case. Don´t open the oven before that because the mix would fall if air gets in while it´s rising. 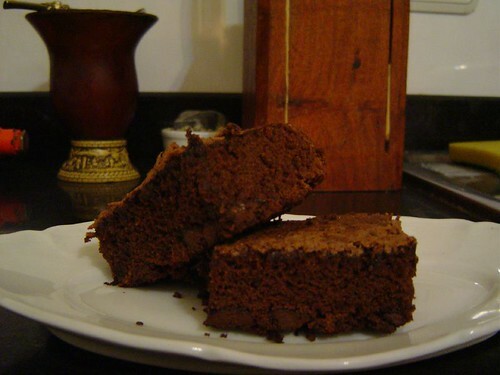 *One thing I discovered over the years is that these brownies taste way better if you add around a teaspoon of cinnamon to the batter, I don´t know what it is about cinnamon that brings out the complexity of chocolate. 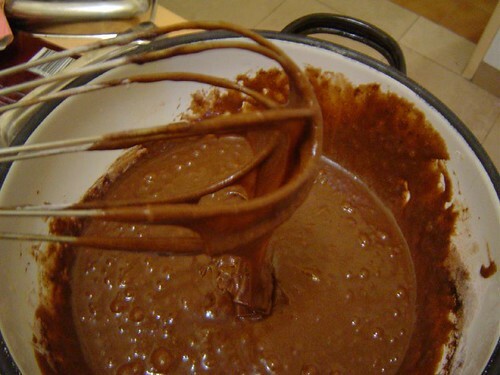 ** When I do have chocolate at hand, I chop a little bit (around 4 ounces) and add it to the mix to make it thicker. I don´t have time to post the brownie recipe I´ve been meaning to post today (or the falafel-humus recipe I now recall I had mentioned). But I do want to tell you to check out the Well-fed network awards since I´m sure many of your favorites are nominated and the voting closes on Jan 9th. Just go to http://wellfed.net/ and check out the different categories. While we are at it, be sure to check out some of the sites mentioned there, I´m sure you´ll find many new favorites. 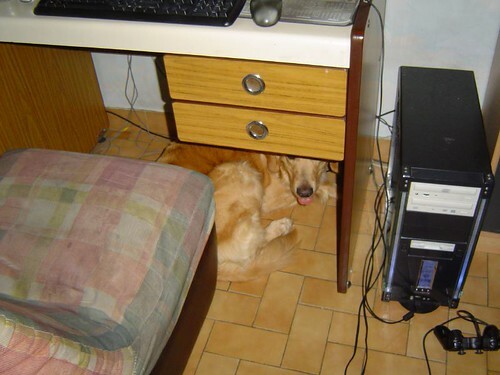 favorite "refuge", below my brother´s desk, either that or below the car. 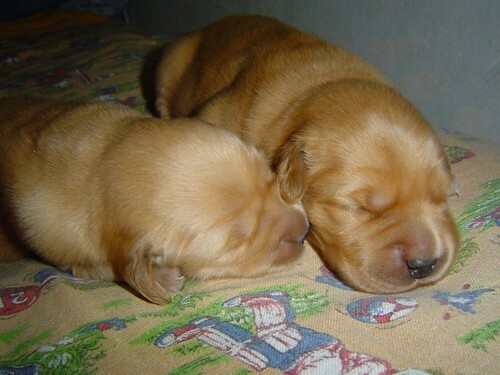 And last but not least... seriously, can they get any cuter? No New Year resolutions here, just joy and good food. 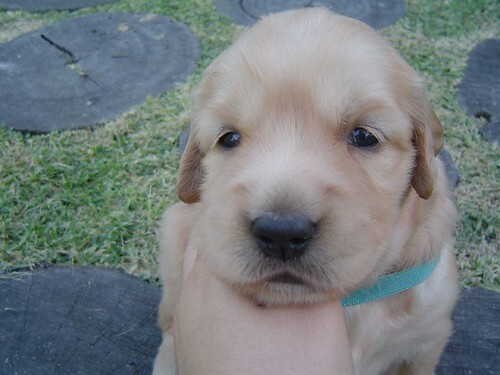 I mean, how can it be anything else when you start off the year with brownies, ice-cream and dulce de leche, surrounded by family and the cutest Golden Retriever puppies ever? I can be ambitious, but that sounds like a perfect scenario to me. This year was a pretty special year for me. Moving out of my house was a huge step which took a lot of courage and made me spend a lot of time examining myself, my goals, and my dreams... which ultimately led to a greater self-knowledge and a better appreciation of myself as a person, of the people I love and of the many blessing I sometimes take for granted. It was so worth it. I had spent too much time in my comfort zone, and though change can be ladden with fear, when you get through it you realize what you´ve been missing. I guess I do have a New Year´s resolution: I´m gonna try to challenge myself every step of the way, find new areas to explore and rejoice in the things I´ve already achieved. mmmmm I guess I am pretty ambitious after all hahahaha well, I did say "try". But, seriously speaking, this blog comes as a part of that time of change, that opening-up period I´m going through, and also as a part of my love of all things food. For me, food is a bit of an art, a means of expressing a cultural and personal identity. Of course it is about sensations and enjoyment, but for me it´s also about exchanging ideas and getting to know other cultures... I´m a translator after all, that´s what I do.